Compulab fitlet is a fanless mini PC with high performance, excellent graphics, up to 4 LAN ports and 5 year warranty.filtet is among the smallest PCs available and packs more features than any similar PC.For those familiar with the Intel® NUC - fitlet is somewhat similar.Just much smaller, fanless, with more features, and more powerful than NUCs in its price range.For those familiar with either NUC or its predecessor fit-PC2 we have a couple of comparisons to check out:fitlet vs NUC | fitlet vs fit-PC2Too small to overlookWith a volume of 0.22l and thickness of 0.95" fitlet is small enough to be in a pocket.fitlet-ifitlet-i is a miniature, fanless and ruggedized PC, featuring all the expected functionality and then some.fitlet-i standard features are unusually rich for a computer its size, including up to 8 GB RAM, mSATA, dual head HDMI, dual GbE LAN, WLAN 802.11ac, micro-SD socket and 6 USB port (2 USB3). 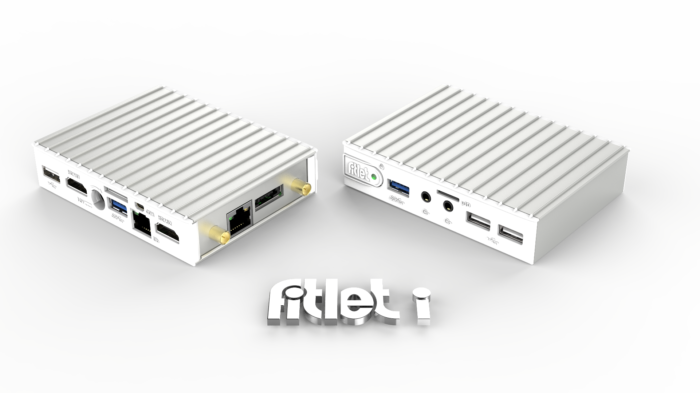 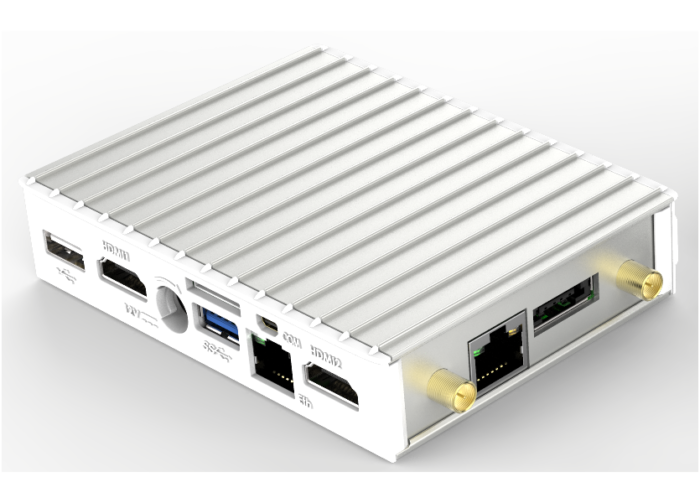 Beyond that, fitlet-i features a powered eSATA, RS232, SMBUS, UART, 8 GPIOs and provision for mobile data communication. 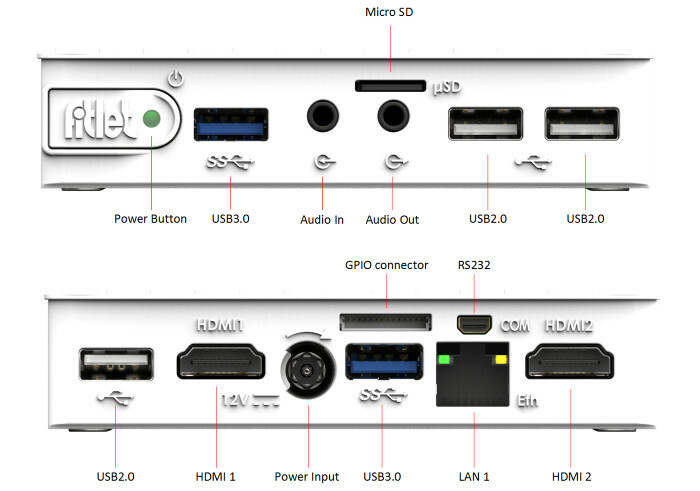 All features are completely user accessible. 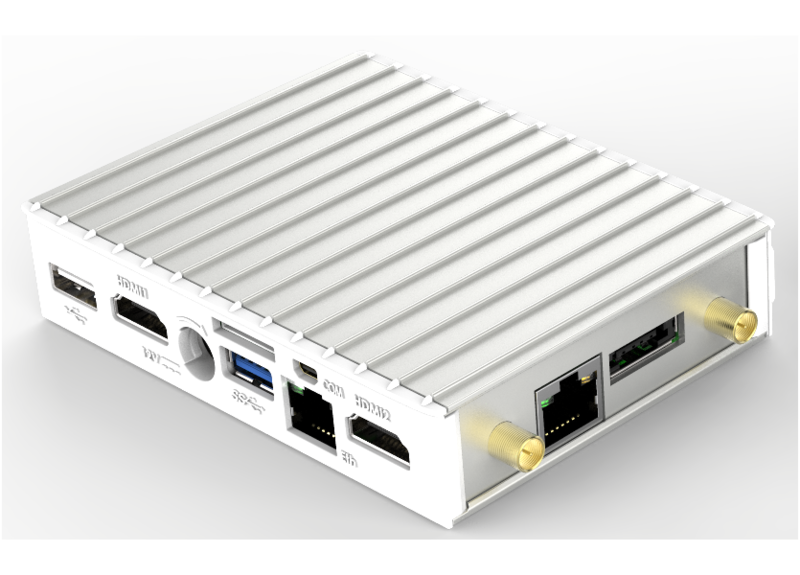 A great deal of thought was given to real-world usability scenarios resulting in a long list of integrator-friendly features: power plug locking, USB plugs locking, replaceable battery, programmable power-on, remote power button, power button locking and robust mounting.